India stands on a plethora of multiple paradoxical situations as far as the medical devices demand and supply imbalance is pictured. With a large population of 1.3 billion people and with almost 18% of the total population of the world living in India it is no rocket science to assume how much the potential of the demand for medical devices in our own country can be. However, how our healthcare eco system caters to this demand is the question that leaves many unanswered queries. India is an emerging name as far as medical tourism destinations is talked about. In fact it stands amongst the top five medical destinations of the world but when it comes medical facilities and infrastructure for our own population we need a lot of socks pulling. Most of India’s health facilities feature around the urban population whereas 70% of India lives in the rural towns. The poor infrastructure of our rural towns and the over bursting hospitals in the urban cities needs to be balanced rightly to provide even basic medical facilities to the citizens of India. There is a large emerging middle class section in India that is becoming health conscious and the growing popularity and requirement of the health insurance policies has made this industry a booming prospect in the coming future. Apart from that an ageing population is likely to accentuate the demand for medical devices. The medical devices market in India is expected to be worth $11 billion dollars by 2023. According to a report by visiongain, a London-based business information provider, India certainly is one of the most lucrative markets for medical devices globally. Additionally, the Indian medical tourism market is growing at a double digit rate of 30% already touching @ 2 billion. 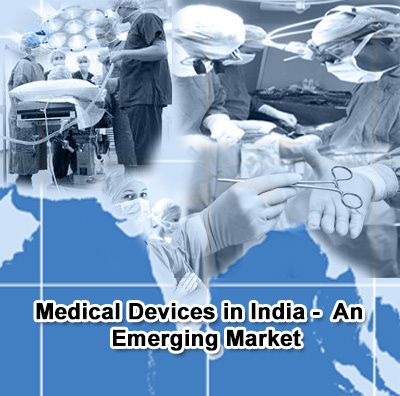 India’s medical device market is currently the fourth largest market in Asia with 700 medical device makers, and ranks among the top 20 in the world according to the data collected from the India Semi Conductor Association. This makes the ever growing medical devices market in India greatly in favor of importing goods which has resulted in over 75% of India’s Rs. 30,000 crore medical devices market dependent on imports. A Boston Consultancy Group study estimates the market would be worth about 3 lakh crore by 2025. This means to say that if India continues to remain 75% on imports, that would estimate that we would be importing Rs. 2 lakh crore worth of medical devices skewing so largely in favour of imports. This does not help us in keeping the inflation at bay. GPC Medical Limited in a bid to encourage the Indian manufactures to make medical devices in India makes serious indigenous efforts in the areas of research and globally interacting with the best medical devices manufacturing companies to give the best products to all its clients.